Why is The Promise a Musical? 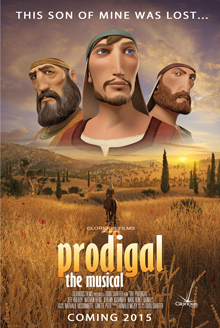 What was the motivation behind making an animated musical of the nativity story? Watch to find out. 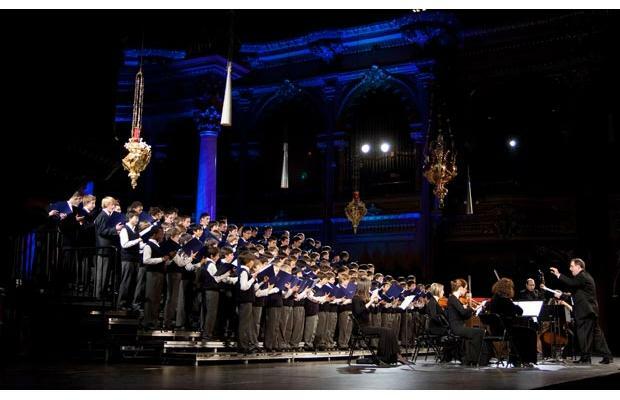 The world-renowned Montreal Boys Choir “Les Petite Chanteurs du Montreal” are a part of the talented musical cast of The Promise. I love musicals. I like watching them live, on TV, or listening to their songs on my iPhone. I have performed in a few, and I even wrote one once (don’t ask). Musicals like The Sound of Music are some of the most beloved and enduring art forms in popular culture. 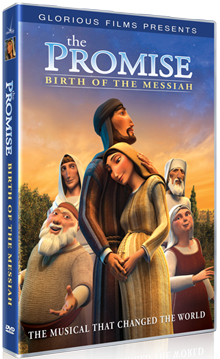 But when Glorious Films’ Creative Director Todd Shaffer told me he wanted to make a Broadway-style animated movie about the birth of the Lord Jesus, I was concerned. For some reason I imagined a South-Pacific-esque mash-up of donkeys, sheep and oxen gathered around Mary, singing, “There is Nothin’ Like a (Notre) Dame.” Don’t get me wrong – I love South Pacific – but I didn’t want anything to do with a campy version of the nativity story. “Count me out,” I thought to myself. A musical? 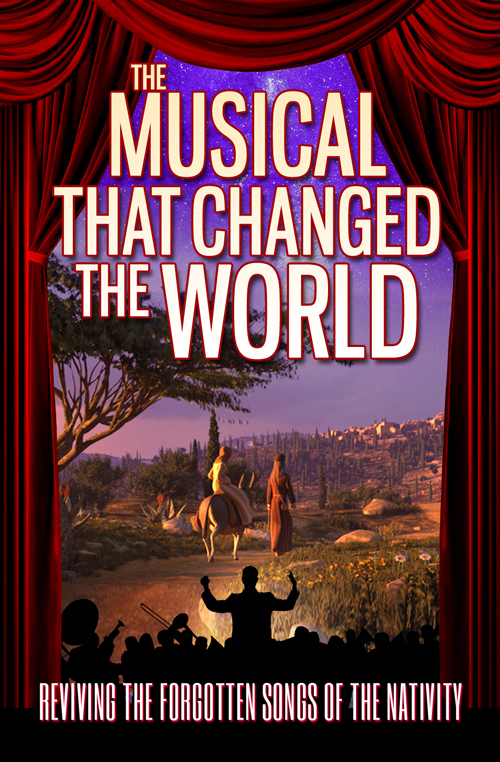 Despite a couple of decades in ministry, I couldn’t recall a musical in the New Testament. I asked Todd to refresh my memory. “When you read the birth narrative in Luke, you realize that it’s filled with celebrative passages like Mary’s Magnificat that are essentially Hebrew poetry.1 They lend themselves to song — in fact, they are songs,” he told me. This musical moment when Zechariah opens his mouth to sing his son’s name is a favorite of audiences young and old. The rest of the song, called the “Benedictus” has been one of the favorites of the church for two millennia. Once he said Hebrew poetry, I knew exactly where he was going. Biblical scholars tell us that Luke 1-2 contains as many as eight passages that are in the mold of Old Testament poetry. Mary’s Magnificat, the angelic birth announcement of John the Baptist to Zechariah, Zechariah’s prophecy, Elizabeth’s prophesy, Gabriel’s announcement-encounters with Mary, with Joseph and with the shepherds, and Simeon’s prophecy.2 That’s a lot of music in two chapters! So, what’s with all the poetry stuffed into Jesus’ birth story? Think about this: for 400 years there was no prophet in Israel. Then, all of a sudden, in the first century we see an explosion of angelic visitation and men and women giving prophetic utterances in the advent of the Messiah. His servants – human and angelic – broke out in song. God was shining a big light on what was taking place. “I can’t imagine Mary, Zechariah or Simeon expressing these things in straight voice — they are explosions of praise,” said Shaffer. 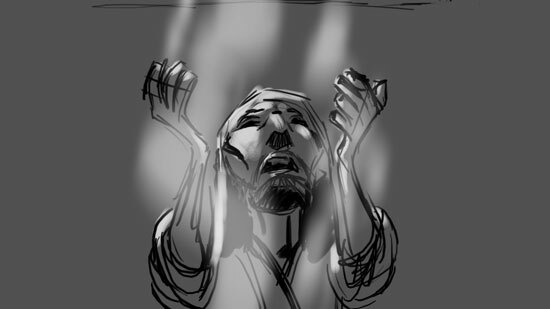 This is an early black-and-white sketch of a temple priest crying out to God. When Zechariah was confronted by the angel Gabriel in the temple while burning incense, it was the first of a series of angelic visitations and prophetic utterances that marked the coming of the Messiah. 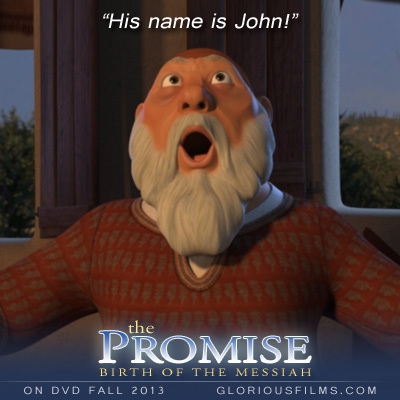 Glorious Films is excited that God has allowed us to produce The Promise: Birth of the Messiah. Watch for its release in fall 2013. And we promise — no singing sheep or crooning donkeys – only God’s glorious musical celebration of His Son’s birth, just as Luke recorded it. For more info, visit http://www.gloriousfilms.com. This article prepared with the aid of Olive Tree Bible Study Software.